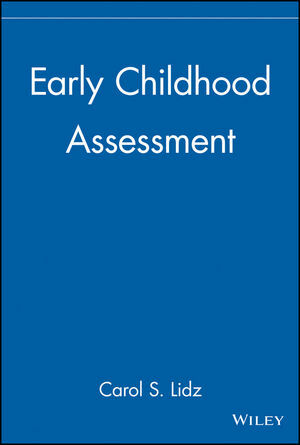 Early Childhood Assessment presents a thorough, step-by-stepapproach to the comprehensive psychological assessment of youngchildren. In addition to covering major psychological tests, thisinvaluable resource includes specific guidelines and formats forinterviewing parents and other caregivers, observing children andcaregiver-child interaction, conducting dynamic assessments,writing reports, and evaluating outcomes of recommendedinterventions. Dr. Lidz's approach encourages a broad range of observation with anoverarching objective of completing a picture of the "whole" child,from family life to social-emotional and neuropsychologicalfunctioning. She leads the reader through each step of acomprehensive assessment, touching on the major data sourcesnecessary for a full understanding of the child within differentenvironments. Throughout the book, Dr. Lidz advocates bestassessment practices that reflect the interests of children andfamilies. Early Childhood Assessment is a valuable tool for professionals andstudents who are concerned about the richness and complexity ofchildren's development within their families and communities. CAROL S. LIDZ, PsyD, is a consultant in private practice in the Philadelphia area and former director of the school psychology program at Touro College in New York City. Chapter 2: Observing Children, Programs, and Teachers. Chapter 3: Families, Homes, and Cultural Contexts. Chapter 4: Assessment of Play. Chapter 5: Development-, Curriculum-, and Performance-Based Assessment. Chapter 9: The Neuropsychological Functioning of Young Children. Chapter 10: Assembling, Reporting, and Evaluating the Pieces. Appendix A: National Association of School Psychologists Position Statement on Early Childhood Assessment. Appendix B: New York Association of School Psychologists (NYASP) Guidelines for Preschool Psychological Assessment in New York State. Appendix C: Division for Early Childhood of the Council for Exceptional Children Position Paper on Developmental Delay as an Eligibility Category. Appendix D: National Association for the Education of Young Children Position Paper: Responding to Linguistic and Cultural Diversity: Recommendations for Effective Early Childhood Education. Features step-by-step instructions for accurate, comprehensive assessment of young children. Covers important topics such as play, parent-child interaction, and dynamic assessment that are not included in other books.